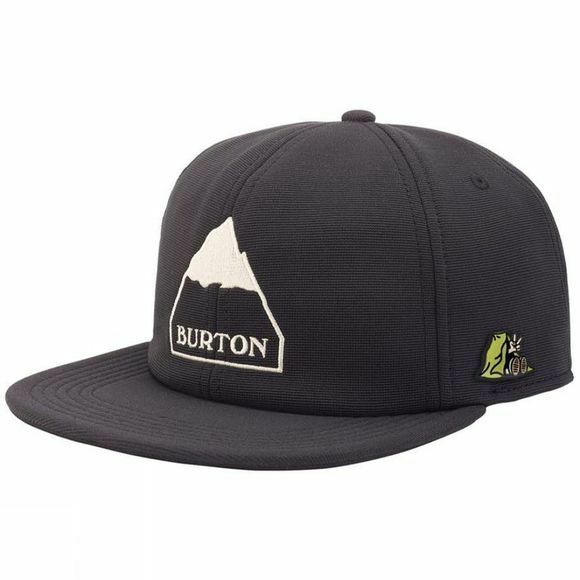 A topper-offer to complete any outfit, the men's Burton Tackhouse Hat is an everyday favorite. This comfortable hat has a flat visor, snapback closure, and a medium profile. Made with polyester and elastane, it has an embroidered Burton logo on the front. The enamel pin on the side is a bonus you can leave on your hat or add to your coveted pin collection.